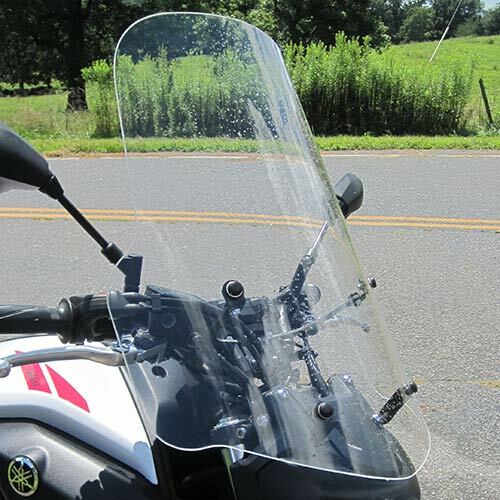 Parabellum shaped the high performance MT07 windshield to reduce air drag by 16%. This results in better fuel economy increasing range on your 3.7 gallon tank. Less air drag also means the bike is a bit faster. Parabellum testing determined the shield’s shape, angle, width and curvature, creating a quiet and comfortable touring/commuting experience. 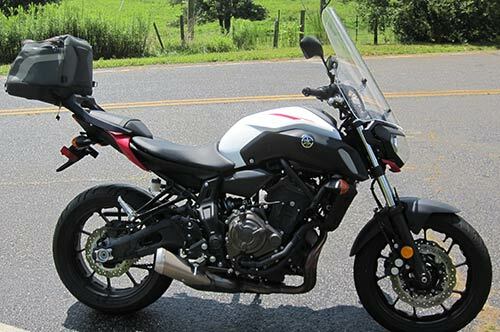 Our MT07 Sport Touring windshield is manufactured from 3/16 inch cast acrylic and is 19 inches wide tapering to 15 inches at the top of the shield. It comes complete with easy to attach stainless mounting brackets and is available in three heights and in clear or tint.